As I have stated in a previous post, the house is having an extension added to it, so the shack is still not available. 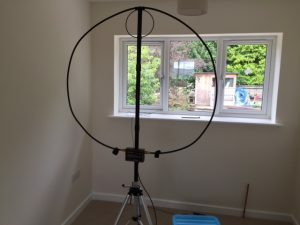 Since getting back from Dayton I have not had much of a chance to get on the radio much but since I bought the Alex loop antenna, I thought I would give it a try from inside the house. So I set it up in our new spare room and connected it to my Ultimate 3 WSPR TRX. 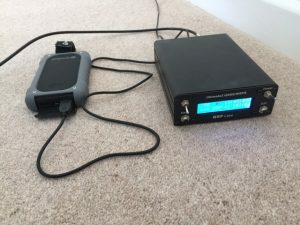 Ultimate 3 running off portable battery pack. Also I had this idea of setting up the Ultimate 3 in the car connected to my Little Tarheel II screwdriver. I thought about how to get 5v to power it and remembered I had my Lime Fuel 10000mAh battery pack. I had the setup running on 30m over the weekend to see just how the Alex loop performed. I was very impressed with the loop, considering it is indoors with 100mW. I was not expecting to get spots from the US, especially K9AN. Conditions have not been good by any stretch so getting over to the other side of the pond is good. 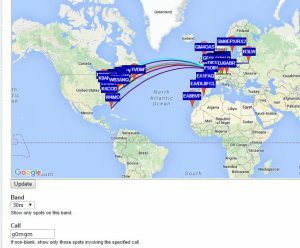 Alex Loop, Antenna, Dayton, Ultimate 3, WSPR. permalink.